For my first recipe session, I focused on a nice starter salad. My second recipe session will focus on Turkey. In particular, ground turkey. My inspiration hearkens back to this summer when buying ground turkey was a common practice due to a string of good deals followed by decent coupons on the next trial. The problem was the only possible meal we could ever think of was turkey burgers. Now, I do love turkey burgers. However, after about the 5th time you make them, you grow tired of them and want to search for something new. We did turkey taco’s which were not bad, but still the sizzling fat of a good ground chuck add to the taco experience like a decent froth on a cold summer light brew. Now, flash forward to last week. I had a couple of errands to do, so I headed down to my local whole foods and browsed through the ready to eat session as it was about that time for my stomach’s turn to take the helm as the primary decision maker. There is nothing almost nothing more tempting to a man than an open buffet steaming with the sweet smells of immediate gastronomic gratification. Sitting near the end of that buffet, nestled between roasted sweet potato wedges and a bubbly cheese mac & cheese, was my answer to my ground turkey conundrum … Turkey Meatloaf. 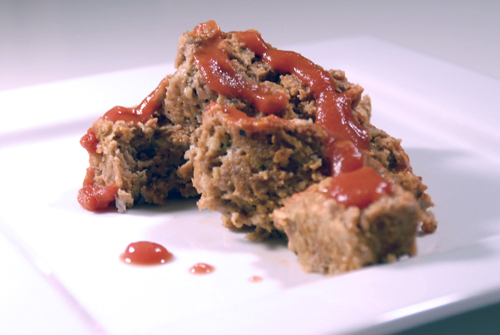 Great on hot dog's and now... meatloaf! 1. 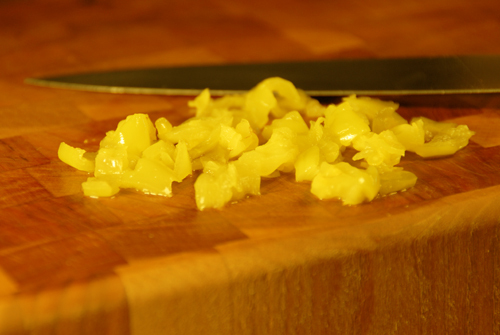 Take a rough chop to the banana peppers. At least quarter them. This will ensure that you do not get giant flashes of pepper but subtle hints. 2. 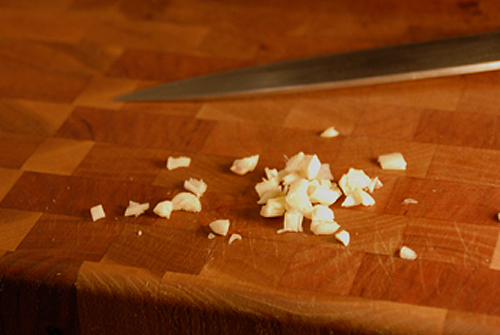 Next mince down a clove of garlic. For this recipe, two cloves would not be too dangerous either. Yes, I KNOW, it's not a brown egg ... sue me. 3. 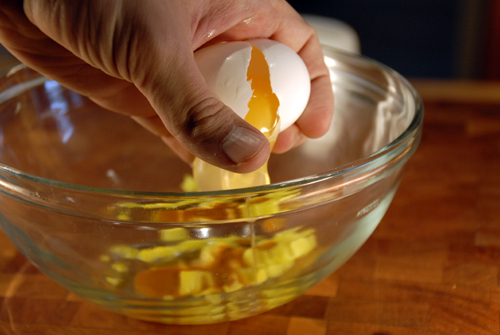 Throw the peppers and the garlic in to a bowl and add the egg and tomato sauce. Rough mix a little. 4. 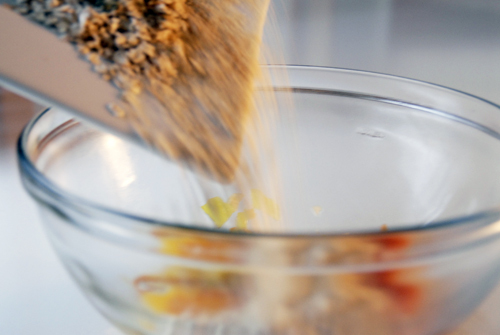 It’s dry ingredients time. 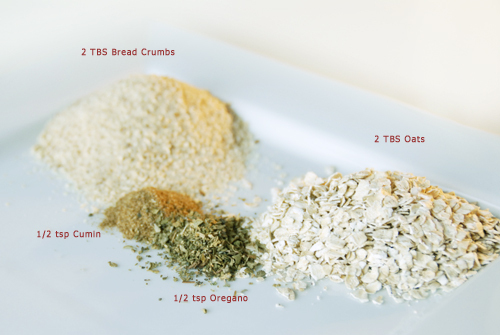 Throw together a couple of tablespoons of oats and breadcrumbs. The oats seemed a little off to me, but they really add umph by taking away some of the herbaciousness of the breadcrumbs, letting the turkey flavor shine more. 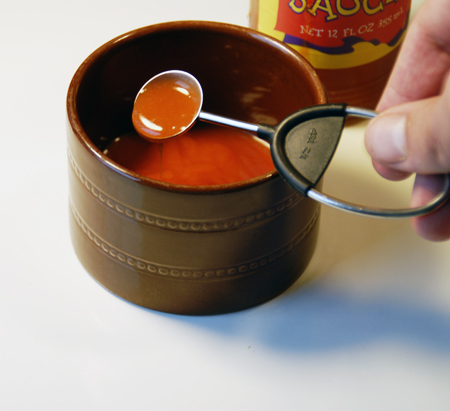 1/2 teaspoons of cumin and oregano are really the only spices you need for this. 5. 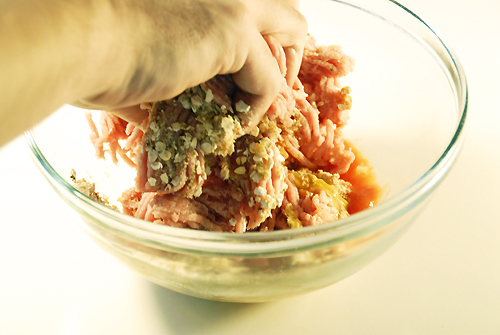 Moving on… let’s grab the ground turkey. "Hey, you guys look fun...will you follow my tweets?" 6. 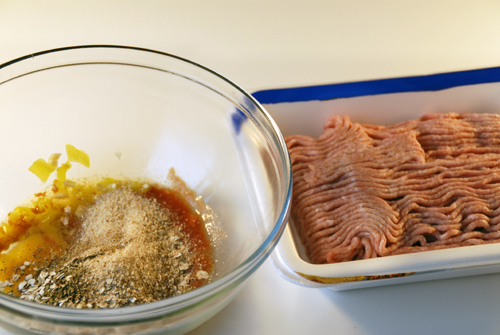 Mix together the ground turkey until a uniform texture. 7. Now grab a 9″ x 13″ pan. Since this is a “for two” recipe, you might want to grab just two mini pans, whatever your preference. 8. Evenly spread throughout the pan. I also made some divots into the turkey for more sauce to form in certain areas. 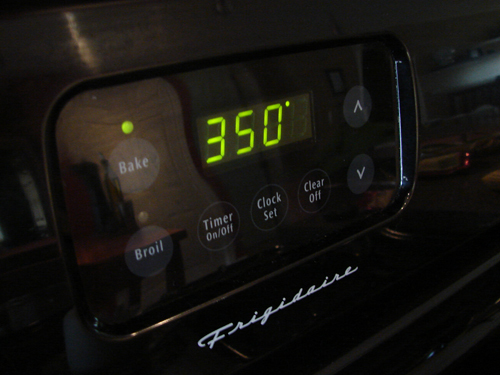 Throw in to the preheated oven and bake for 30 minutes. In the mean time, clean up your workstation, wipe the raw turkey off your camera, grab a beer and wipe the tomato sauce off your lights. 9. Time to make the sauce. Start with 1/4 cup of tomato sauce. 10. 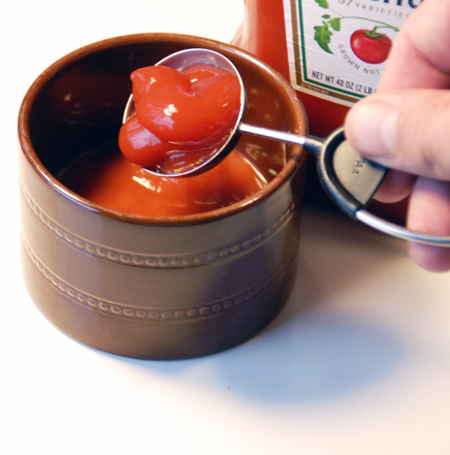 Throw in a tablespoon of ketchup. 11. Next add the hot sauce. I use Louisiana or “Frank’s” but feel free to use Tabasco. But it should be a vinegar based hot sauce. 12. 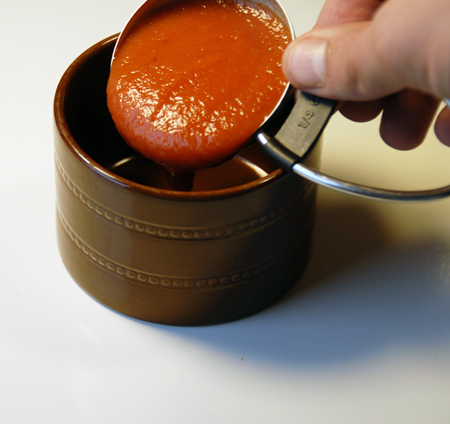 After 30 minutes, pour about 90 % of the sauce over the meatloaf. Cover with tinfoil and throw back in for another 30 minutes. You might want to uncover and crank up the heat for about 10 minutes to dry out the top as mine was probably a little soupier than I would have liked it. And there you have it. 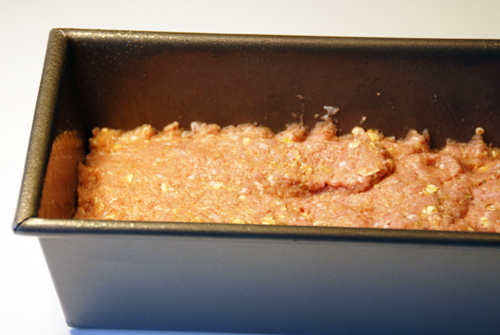 An extremely easy smoky chipotle turkey meatloaf.